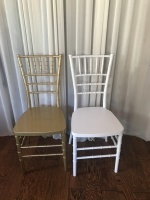 Do you need extra chairs and tables to seat all your guests at an upcoming party? All Star Jumpers has a wide variety of chairs and tables available for rent, including foldable and wooden chairs. Are you having a party at a park or at a exterior location? All Star Jumpers has canopies and tents of all different sizes available for rent. We also have tents with windows available. All Star Jumpers carries tablecloths and chair covers for you to rent. We have linens available in a variety of fabrics and colors for your upcoming party or event. Call us today to learn more about our wide selection of linens.